We replaced the furnace and ductwork in this home. Want To Repair, Replace or Retrofit Your Existing Gas or Electric Furnace? We specialize in gas and electric furnace replacement and repairs throughout Durham, NC. Most North Carolina homes are heated with either gas fired or electric furnaces or boilers. Furnaces heat air and distribute the heated air through the house using the ductwork often hidden inside walls, floors and ceilings. Boilers heat water, and provide either hot water or steam for heating. The steam is distributed via pipes to steam radiators, and hot water can be distributed via baseboard radiators or radiant floor systems, or can heat air via a coil. 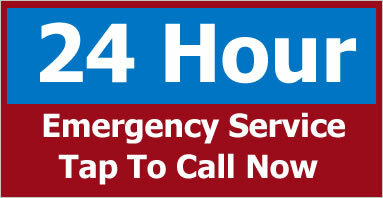 A1 Electrical HVAC LLC is a full serving home heating contractor based out of Durham, NC. We specialize in the repairs, replacement and new installations of furnaces and boilers for residential home heating systems. From simple repairs, to upgrading your entire system we’ve got you covered. A central furnace’s efficiency is measured by annual fuel utilization efficiency (AFUE). 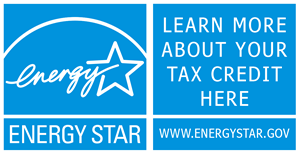 The Federal Trade Commission requires new furnaces or boilers to display their AFUE rating so consumers can compare heating efficiencies of various models. AFUE is a measure of how efficient the appliance is in converting the energy in its fuel into actual usable heat over the course of a typical year. Specifically, AFUE is the ratio of annual heat output of the furnace or boiler compared to the total annual fossil fuel energy consumed by a furnace or boiler. An AFUE of 90% means that 90% of the energy in the fuel becomes heat for the home and the other 10% escapes up the chimney and elsewhere. 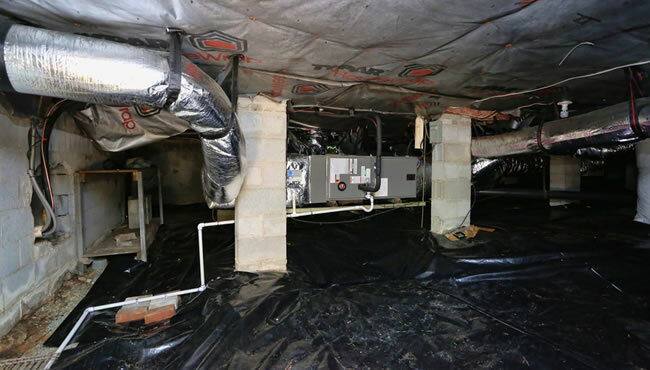 AFUE doesn’t include the heat losses of the duct system or piping, which can be as much as 35% of the energy for output of the furnace when ducts are located in the attic, garage, or other partially conditioned or unconditioned space. Electric Furnaces Are Very Efficient But Electricity Isn’t Cheap! An electric furnace has no flue loss through a chimney. The AFUE rating for an all-electric furnace or boiler is between 95% and 100%. It’s important to understand though that despite their high efficiency, the higher cost of electricity in North Carolina makes all-electric furnaces an uneconomic choice. If you are interested in electric heating, consider installing a heat pump system. Comparing Furnace Efficiency – What Features Do You Look For? You can identify and compare a system’s efficiency by not only its AFUE but also by its equipment features. Is Retrofitting Your Existing Furnace Worth It? Furnaces can be retrofitted with upgraded parts to increase their efficiency. These upgrades improve the safety and efficiency of older systems that are otherwise still in good operational condition. The costs of retrofits should be carefully weighed against the cost of a new boiler or furnace, especially if replacement is likely within a few years or if you wish to switch to a different system for other reasons, such as adding air conditioning. If you choose to replace your heating system, you’ll have the opportunity to install equipment that incorporates the most energy-efficient heating technologies available. Retrofits are fuel-specific, so you’ll need to check with a professional home heating contractor such as A1 Electrical HVAC LLC to find out which upgrades would be applicable to your furnace. Although older furnace systems had efficiencies in the range of 56% to 70%, modern conventional heating systems can achieve efficiencies as high as 98.5%, converting nearly all the fuel to useful heat for your home. Energy efficiency upgrades and a new high-efficiency heating system can often cut your fuel bills and your furnace’s pollution output substantially. If your furnace or boiler is old, worn out, inefficient, or significantly oversized, the simplest solution is to replace it with a modern high-efficiency model. Before buying a new furnace or boiler or modifying your existing unit, first make every effort to improve the energy efficiency of your home, then have a heating contractor size your furnace. Energy-efficiency improvements will save money on a new furnace or boiler, because you can purchase a smaller unit. A properly sized furnace or boiler will operate most efficiently, and you’ll want to choose a dependable unit and compare the warranties of each furnace or boiler you’re considering. Why Choose A1 Electrical HVAC LLC For Your Furnace Repairs and Service? When you choose A1 Electrical HVAC LLC to repair or replace your old gas or electric furnace you are partnering with the local home heating professionals. We’ll be able to tell you exactly what is wrong with the unit and what it will cost to repair. You can always count on sound advice when dealing with our technicians and we believe in repair over replacement if it makes economical sense. If it doesn’t we’ll be able to let you know that as well. There is no sense repairing a unit that cannot be repaired, or is so old and inefficient that you’d be better off with a newer unit. If you’d like an estimate to repair your broken furnace then give us a call today or fill out our email form and someone will get right back to you so we can answer any questions and schedule a time to inspect your furnace.